This glue dries up to 50% faster than other craft glues. This nontoxic formula applies white and dries clear in just 35 minutes, compared to an hour or longer for traditional craft glues. Our new, innovative cap allows you to store the bottle inverted at all times, providing quick and easy adhesive flow. 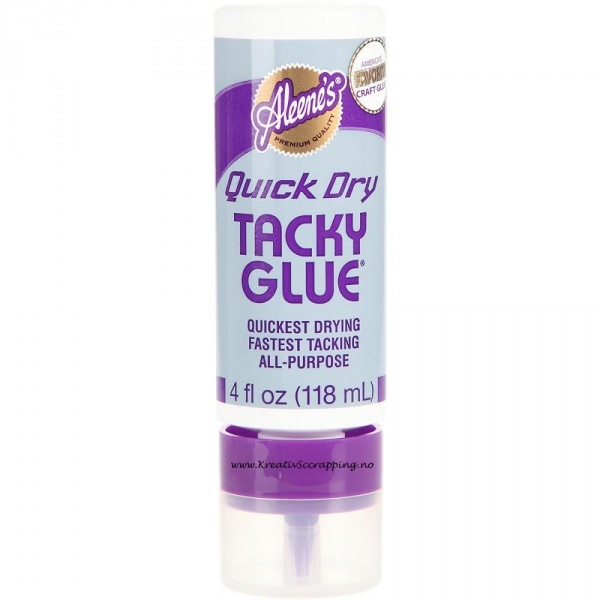 Aleene's Always Ready Quick Dry Tacky Glue. Experience a quick drying glue that holds items together quickly! Dries and tacks up faster than average craft glues. It cuts drying time by more than fifty percent. Dries clear and flexible. This package contains one 4oz bottle of ready quick dry tacky glue.